Phil On North Berwick: "The architecture, there, is exquisite." Q. 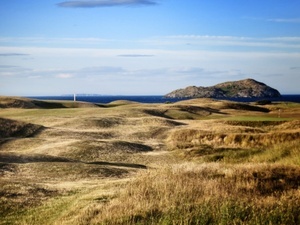 Where was the first time you played links golf? And can you tell us the best experience you've had in The Open Championship? PHIL MICKELSON: Well, the first time I played links golf was in the Walker Cup in 1991, Portmarnock Ireland, but the first time over here was in '92. I tried to qualify for The Open Championship at Muirfield over at North Berwick, and that was really one of my first experiences. I remember that golf course very vividly. And I feel like that course had such an influence on architecture in the early 20th Century that a lot of the holes -- probably the most emulated hole ever is the Redan hole throughout the world. But some of the features, like the green on 16, some of the blind shots, the architecture, there, is exquisite.